Ascot Modern Flotation System with Fast Free Shipping! 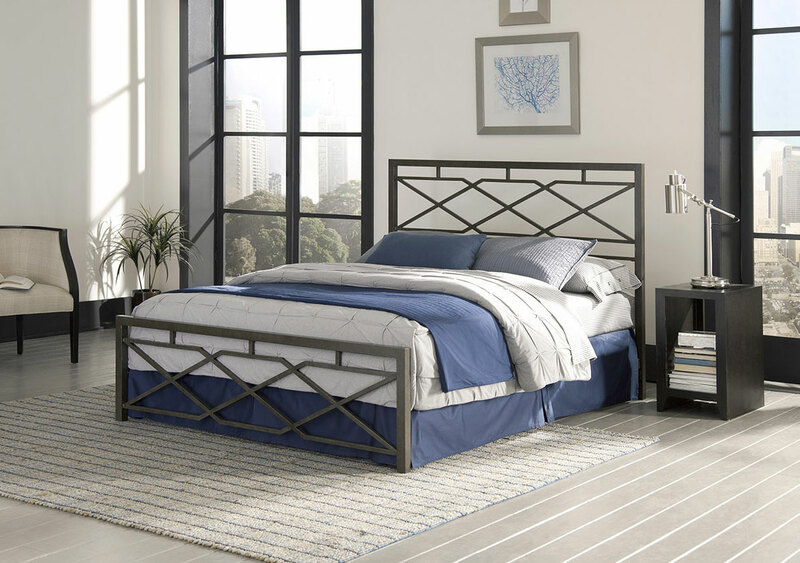 Geometric shapes in a Rustic Pewter are the pattern of the headboard and footboard truly give this bed a unique design yet versatile design. This stylish, all-in-one-box bed is easy to assemble and easy to maneuver through small hallways and narrow stairs. Contains the headboard, footboard, decorative side rails, and center support. All parts and an assembly tool are included, so you can begin enjoying your stylish new bed within minutes. The Ascot Flotation System includes: Headboard, Footboard, Frame, Support Rails, 8" deep plush-top soft side mattress and 9" foundation for a complete modern flotation system. Available in Queen, King and Cal King sizes. Includes headboard, footboard, frame, center support, allen wrench and hardware. 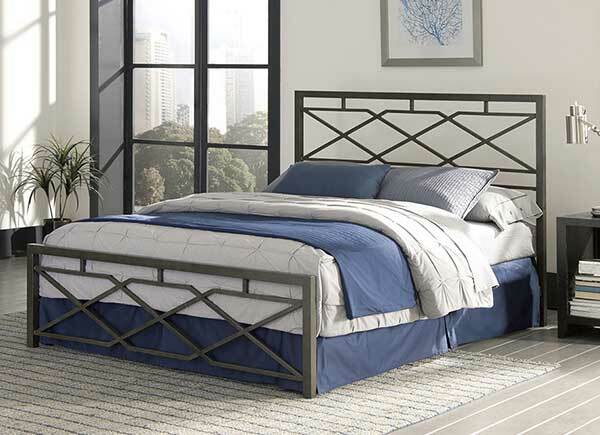 King Mattress 76" x 80"
Cal/King Mattress 72" x 84"
The Ascot Flotation System Includes: headboard, footboard, side rails, center support, premium full depth 8" mattress and foundation. A complete flotation system. The Ascot Flotation Bed Includes: headboard, footboard, side rails, center support. (Does not include mattress).